So, your on the road enjoying the mountains, the sights and the food…but how do you combat boredom? I love to listen to podcasts, I listened to a few on our road trip through England, Wales and Scotland. Travis prefers music but catching up on Serial is always a good option too. I prefer to listen to podcasts the way I watch Netflix, I binge on the regular. I tend to listen to podcasts by myself, Travis isn’t a fan unless it’s Serial and even then he has trouble driving and focusing on the story. Plus sometimes with the road noise it’s hard to hear the interviewee. I know some folks love to play the Alphabet game or license plate game, are there any others you enjoy playing? It’s not a game but I love to spot the license plate from the furthest away! Personally, I love to journal and although journaling in the car is bound to eventually make me sick, I tend to have some pretty amazing thoughts on the road. How to do you combat boredom on road trips? 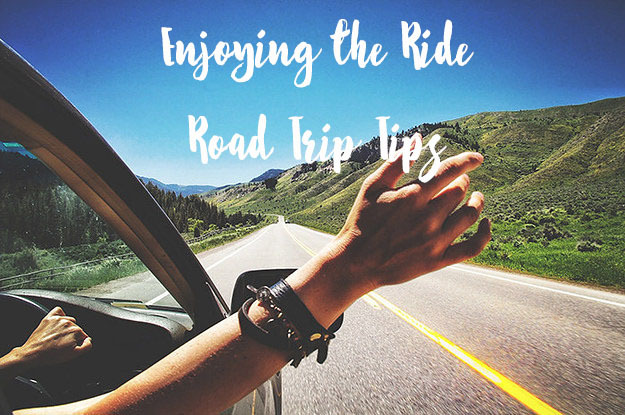 I love road trips simply because it’s a time to bond with the folks in the car. So much fun!